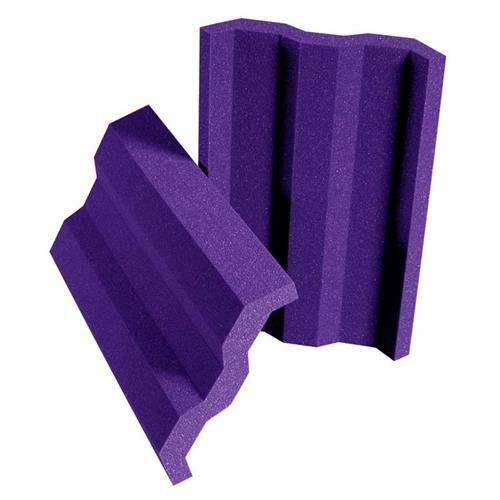 More on the Auralex Acoustics VersaTile Broadband Absorption Panels (Purple set of 24) VTILEPUR below. 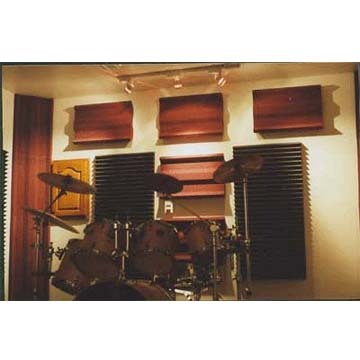 VersaTile Broadband Absorption Panels combine a visually attractive acoustic foam absorption panel with specially engineered air cavities to yield extraordinary sonic benefits. The VersaTile design allows it to be implemented in a variety of ways. It can be positioned to bridge a corner, creating a sizable air pocket that provides some great low frequency absorption. It can also be placed on walls and ceilings with either side out, allowing for some sophisticated looks while offering superior absorption characteristics versus thinner, flat acoustic foam panels. Includes 24 Purple VersaTile panels, measuring 2"H x 16"W x 24"D each. All-in-one-panel room treatment - one box solves a wide range of acoustical problems. 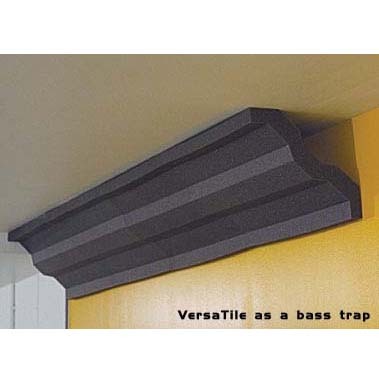 Great for corner bass trapping. Allows disguising of cable runs and for use in irregular corners. 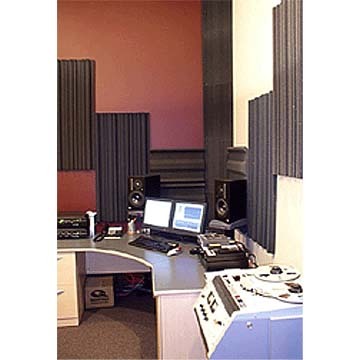 High-quality acoustical absorption foam will not crumble or deteriorate with age. Easy installation on walls, ceilings, floors, or doors. 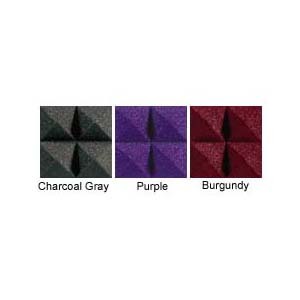 Also available in a Charcoal 6 pack, as well as a 24 pack in Burgundy or Charcoal. See related products below. Suggested Adhesive: 1 Tubetak tube per 6 panels (sold separately - see related products below).